There is simply no better way to enjoy the beauty of Sisters Country than to bike, hike, or ride a horse on one of the many trails in the surrounding forests. From the trails you’ll have views of the Three Sisters, Mt. Jefferson, Mt. Washington, Broken Top and Mt. Bachelor. Check here to find trails maintained by the STA. Check here to find some great area trails around Sisters. 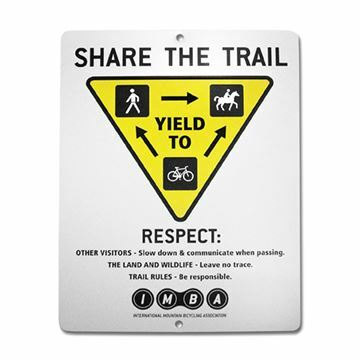 Cyclists and Hikers should move off trail, downhill from equestrians.